our people are in the spotlight. Discover a place where you’re empowered to learn and grow, building a career that’s packed with development opportunities, mobility, rewards and a unique culture. That’s our focus on you. At PSAV, you’ll join a team that delivers innovative event solutions – from small meetings to global multi-media conference events with thousands of attendees. Here, you’ll have everything you need – including our full support – to take your skills to the next level and define your future. It’s more than a promise – it’s an unwavering commitment to our employees. 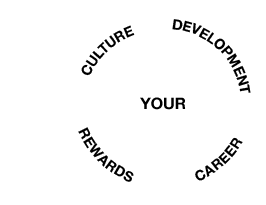 At PSAV, we focus on your career, your growth, your future, your health, your savings and more. Whether it’s a development program, career pathing, benefits and rewards, or the way we fuel an inclusive culture, our focus is on you so you can focus on our customers. See how your military experience translates into a new career – from operations to sales and more. Our team is waiting for you.